I was recently on an interview series called Foods That Heal: How To Eat To Prevent And Cure Health Conditions So You Can Live A Healthier Longer Life. We all want to be around longer, with the energy and vitality to spend more time with our loved ones , see our kids and grandkids grow, travel the world, retire healthy and enjoy life. Listen as we discuss some tips to help achieve this. Vicky Rolfe: Hi, everyone! Vicky here. And welcome to Foods that Heal Interview Series, where we explore the power of food and show you how to eat in order to live a healthier and longer life. And today we are going to talk about the connection between the gut and the thyroid. And to understand that connection, I have invited a leader in functional medicine, Dr. Michael Ruscio. Hi, Dr. Ruscio! Dr. Michael Ruscio, DC: Hi! Thanks for having me! At what point is your thyroid a problem? How are the thyroid and the gut related? Reverse T3 – not a thyroid problem – could be inflammation, stress, etc. What diets may help with the gut and therefore the thyroid? VR: You’re welcome. Thank you for being here. So Michael Ruscio is a doctor, a clinical researcher, and a bestselling author. He has an influential voice in functional and alternative medicine. His work has been published in peer-reviewed medical journals, and he speaks at integrative medical conferences across the globe. Dr. Ruscio also runs his own podcast and website at DrRuscio.com, in addition to his clinical practice in northern California. So, again, thank you so much for being here. And about the thyroid, so we hear the terms hypothyroid. We hear hyperthyroid. We hear Hashimoto’s thyroiditis. So are they all the same? Or what’s the difference between them? DrMR: Well, there’s some overlap between those 3 items that you mentioned. And there’s also some very distinct differences. Essentially when you said Hashimoto’s, that identifies thyroid autoimmunity. It’s a process in which your immune cells attack your thyroid gland. It can cause damage and malfunction in the gland. Now, that can manifest as hypo (low) or hyper (high) levels of thyroid hormone in the blood. And hypothyroidism—low thyroid function—is actually quite more common. And hyper is a bit more rare, although they both do inflict the population. It’s not to say that hyperthyroidism is not something that someone listening to this call would not have a probability of encountering. Now, what can be a little bit confusing is how you look at that on lab work. And so essentially in hypothyroidism, the TSH levels go high. That’s one and probably the most routinely ordered blood test to assess thyroid function. So in hypothyroid, TSH goes high. And T4 and T3 go low. And how this works essentially—this is a quick primer—the brain communicates down to the thyroid with this hormone called TSH. And then the thyroid spits out predominantly T4. Now, if the thyroid gland is damaged and not working properly, there has to be a lot of signaling sent down to the thyroid gland to get the amount of hormone to come out that we like it to have. And sometimes the analogy is used of whipping a horse. The TSH is kind of the whip that stimulates the thyroid gland to make hormones. So the tireder the horse, to get it to run quickly, that’s whipping it. That’s kind of a terrible example. But you have to keep whipping the horse to get it to run. And with high TSH, you have to keep yelling louder and louder, higher and higher TSH to get the thyroid gland to spit out the T4. And the exact inverse of what happens in hyperthyroidism. The TSH actually goes low because of the thyroid autoimmunity. As it manifests in hyperthyroidism, the thyroid gland is spitting out too much thyroid hormone. And that can also be problematic. And what they manifest as symptomatically are some overlapping symptoms But there’s definitely some disparity between the two. In hypothyroidism, people are typically tired, cold. Metabolism slows. They might be depressed and have constipation. And fatigue and dry skin are perhaps two of the more notable symptoms associated with hypothyroidism. Hyperthyroidism can also cause fatigue because people eventually get warn out. If you almost thought of a wired and tired kind of feeling, that what can happen in hyperthyroidism. And sometimes people think, oh, more thyroid hormone, I’ll lose weight; I’ll feel better. That’s not actually the case. People with hyperthyroidism, yes, they have a predilection toward being more so underweight. But they also have racing heart. And that racing heart can eventually lead to fatigue and thinning hair and oily skin and insomnia. So that’s not a good boat to be in either. VR: Okay. And for people at home that don’t really have a vast knowledge of the thyroid, can you explain what is the role of the thyroid in your body? 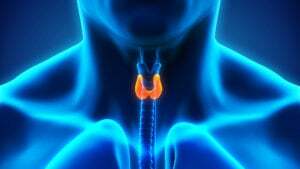 DrMR: Well, thyroid hormone helps to regulate metabolism on a cellular level. So it’s very fundamentally important for cellular function. And cells make up organs. And organs make up your body. And essentially it’s very fundamental aspect of the human organism functioning, is it’s functioning on a cellular level. So if you don’t have enough thyroid hormone, then cells generally speaking, slow down. And this is why you can see things like weight gain and potentially higher blood sugar and dry skin. The dry skin can happen because the skin cells aren’t able to repair and essentially reproduce quickly enough. And this is why we see in hyper or high thyroid function, people tend to have more oily skin. And they can have a racing heart because now the cells are sped up too fast. So essentially if you think of this metabolic dial on each of your cells, if it’s turned too high up, you’re hyperthyroid. If it’s turned too low then you’re hypothyroid. VR: Okay. And at what point do you realize, “Oh, it might be a thyroid problem. I should go and ask for help” because at one point everybody gets tired, just routine. But at what point is it, “Oh, it can be a thyroid problem”? DrMR: And what you’re asking is such a crucial question because the symptoms of hypothyroid can be so nonspecific that if you have one or two symptoms—“I’m tired. I’m depressed. I’m constipated.”—you go online. You type that in. You search what that means. Invariably you will come across hypothyroidism as a potential diagnosis. So it’s very important to know if you actually have a thyroid problem or if you have something else causing a thyroid-like symptom. And this can’t be overstated how important this is because patients in my office who have been chasing down a thyroid problem. Or they may have already had a thyroid problem diagnosed. They’re on medication. But they come in thinking that there’s still a problem with their thyroid even though they’re on medication, missing the fact that there’s actually a problem in the gut that’s driving their symptoms. So it can be a little bit tricky to say definitively based on symptoms is it a thyroid problem or a gut problem. But there’s a hierarchy one can work through to figure this out. And essentially if you’re suspicious of a thyroid problem, I would check in with your local doctor and have the standard bloodwork run—a TSH and a free T4. Now, that will, in most cases, be able to identify if you’re frankly hypothyroid. And for those patients, identifying that is important, getting yourself on thyroid hormone replacement is important. You’ll likely read many criticisms of the conventional ranges and the conventional approach. And it’s not to say that some of those criticisms are not valid. However, if you’re trying to navigate all these options most efficiently, I would recommend, one, a conventional evaluation and whatever conventional treatment is recommended. And if you’re not feeling better after that, I would then look to your gut health because what I see often is the thyroid is in the ballpark, meaning, okay, you had, let’s say, two scenarios. One person is not feeling well. They go into their GP or their endocrinologist. They get some testing. They say, “Yes, you’re hypothyroid.” They put them on Levothyroxine. A few months later, that person is not really feeling much better. Check your gut because I see very often that those patients are actually thinking the problem is the thyroid still. But yet there’s a problem in the gut that has not been addressed. The other scenario could be someone gets the testing and the doctor tells them everything is normal. I would then have a gut evaluation because optimizing one’s gut health may uncover or allow one to see the improvements in the symptoms they thought were being driven by the thyroid. VR: Help us understand here because the thyroid gland is up here. And then the gut is down there. So how is this related? DrMR: Sure, sure. So they’re related in multi-fold ways. So coming back to the discussion earlier about thyroid autoimmunity, this is the leading cause of hypothyroidism in most westernized countries. 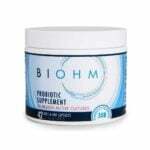 Now, there’s some preliminary evidence showing that improving one’s gut health, most mainly by treating certain bacterial or protozoa, which are like bacteria, infections in the gut can improve thyroid autoimmunity. There’s at least one study showing that a gut-friendly diet can also help to improve thyroid autoimmunity. And we’re talking in effect. We’re talking an impact that’s significant. A 44% reduction in thyroid autoimmunity was found in one study that essentially put people on a Paleo-like diet. So those are two gut interventions that can help with the thyroid autoimmunity. Now, there’s also the absorption of thyroid medication. And sometimes people miss this piece. They’re taking, let’s say, Levothyroixine. Their TSH levels are unstable and their dose is unstable. And they can’t figure out why. And their doctor is kind of scratching their head. What can happen in these cases is you’re not adequately absorbing in your intestines the thyroid hormone medication. And when you improve someone’s gut health…And I’ve seen this. I’ve seen patients who lost weight, felt better, and during that time their endocrinologist said, “Boy, we need to cut your dose of thyroid medication in half,” so that they were actually able to feel better taking less medication because they fixed their gut, which had spillover benefit. And one of those benefits was they better absorbed their medication. And therefore they needed less medication. And then third and finally, sometimes a symptom like brain fog or fatigue may be driven by the gut. And so it’s not that the gut is directly impacting the thyroid, per se. But the gut can be one common source of inflammation. And that inflammation wants to go systemically. And it can cause things like fatigue and brain fog. And so that’s why I say it’s not always the thyroid that’s driving your problems It could sometimes be the gut. So from category 1, you have lactobacillus, acidophilus, lactobacillus rhamnosus, and Bifidobacterium breve. And from category 2, you have S. boulardii, so a nice combination of category 1 and category 2. VR: And there’s one thing very important. We’re talking about a healthy thyroid. Can you explain why it’s important to have a healthy thyroid if you’re trying to get pregnant or when you’re pregnant and the impact that it can have if you don’t have a healthy thyroid? DrMR: Yeah, so this is key. And this is an area where it’s very important. Even if the person listening to this or watching this doesn’t love conventional medicine, I don’t think that’s a good position to have. I think you should have one good alternative doctor and one good conventional doctor and look at both of their opinions and have them try to work together as integratively as possible. But even if you’re someone who’s a bit anti-medicine, you should definitely have conventional follow up because we know that even mild or what’s known as subclinical perturbations in thyroid function can increase the incidence of either infertility or miscarriage. So this is very important. Both subtle, what’s known as subclinical elevations in TSH levels, and elevations in thyroid antibodies can predict miscarriage and infertility. And the good news there is that use of thyroid hormone in those cases during pregnancy can enhance fertility and improve outcomes, both for the mother and for the child. VR: Okay. And you were talking about on your website the symptomless thyroid. So symptomless hypothyroidism. So what is it? So if there’s no symptoms, how can we know that we have a problem with our thyroid? DrMR: Well, that’s what’s actually nice about looking at the blood work because if someone has a frank problem with their thyroid, then lab work can fairly easily determine that. And, again, people will read criticisms that regular testing is not sensitive enough, and what you see on the standard lab of TSH and free T4 blood testing that you may do with your local doctor or your endocrinologist is inadequate. There is some truth to that. But what I’ve noticed to be more often the case is that if someone is struggling with symptoms and they have that basic evaluation to rule out a frank thyroid problem, then the problem is probably not their thyroid gland. The problem is probably coming from somewhere else. And what can be challenging here is that…Have you talked on the program about reverse T3 and T3? DrMR: Okay. There are other markers that can be run that look at thyroid hormone levels in the blood. But it’s important not to be confused if you see some of these markers, that I’m not recommending having tested, if you see some of these markers skewed, you can see alterations in the thyroid hormone levels in the blood. But it doesn’t mean there’s something wrong with the thyroid gland. So as an example, if someone is eating an unhealthy diet or under too much stress, as the thyroid hormone works its way through your system, you can start converting more to this compound called reverse T3, and less to the active compound known as T3. So we mentioned TSH from the brain. TSH tells the thyroid to make T4. T4 comes out of the thyroid gland, disseminates throughout your body, and then eventually that T4 will either be turned into T3 and go into your cells and have that effect, or if there’s inflammation present or stress, then the body will turn it into this inactive form called reverse T3. And the listener is very likely to encounter this if they do some research and reading. But the issue there is that is not a thyroid problem. That is usually an inflammation or stress or other problem in the body that’s driving that. So you can see a thyroid hormone skew, but it doesn’t mean that the thyroid gland is the source of the problem. VR: Okay. And how do we prevent that? Can we prevent that with diet? DrMR: Yes. So diet would absolutely be the foundation because diet will not only help you globally, but it can also be a very healthy intervention for one’s gut health. And as a point, there was one study that put patients on a paleo diet. And they actually saw these patients had higher scores of essentially happiness, subjective wellbeing. And their body compositions also were improved. Yet, remember that reverse T3 we talked about a moment ago? That actually went up. So if you weren’t looking at this globally, you’d say, “Oh, this was not good for their thyroid hormone function” because it’s not always that precise. You can see someone get a lot healthier and see slight elevations in their reverse T3. Now, why? Because these people are eating slightly fewer calories when they went on the paleo diet. And part of the downstream effect is sometimes skewing some of the lower downstream hormones. And I don’t mean to be getting overly particular. But I’ve seen so many patients go online, start researching this stuff. And they start chasing down these end-phase products that don’t really require direct treatment. You have to go upstream to their diet, their gut health, their stress levels. And that’s what will fix the downstream effects of the reverse T3. DrMR: Diet is definitely one. And then there’s probably two really good places for people to start. One would be a paleo diet. And the other would be a low FODMAP diet. VR: What is the second one? VR: So what is this one? DrMR: So the paleo diet, people may have heard. And I should be careful to mention that sometimes it’s stereotyped as you’ve got to be a big, CrossFit athlete, and there’s lots of fat and meat. That’s not how the paleo diet has to be applied. You can have a much more balanced version of the paleo diet that’s high in fruits, vegetables, healthy meats, eggs, fish, nuts and seeds, and really minimal with dairy, grains, and processed foods. That’s the essence of the paleo diet. VR: Because the paleo diet, it’s also known as the caveman diet. DrMR: Yeah. So it’s just food that you could hunt, forage, fish, or gather. And that simple concept can get you pretty far. Now, that diet is a good starting point. But especially for patients who’ve either tried the paleo diet and aren’t feeling much better, or for patients that have lots of digestive symptoms, the low FODMAP essentially reduces foods that feed bacteria. And for some people, those digestive symptoms that they’re having are emanating from too much bacteria in the intestines. And so eating a lower FODMAP diet essentially thwarts the bacteria from getting the food they need to grow. And so if you have too much bacteria, eating a lower bacterial-feeding diet can help balance out the levels of bacteria in the intestines. VR: So what kind of food is part of that diet? I can’t pronounce it. DrMR: Yeah. So it’s FODMAP. It’s kind of a strange one. And what can be very helpful there is really looking at a food list. And we have actually two different versions of the low FODMAP diet available on our website. We have a standard low FODMAP, which gives you the most liberty. And we also have a paleo diet combined with low FODMAP, which gives you essentially low FODMAP plus no dairy and no grains. So there’s different iterations of this. But the funny thing is the foods on the low FODMAP diet are seemingly healthy foods: broccoli, asparagus, cauliflower. And it’s not to say that these foods are unhealthy. But they’re very powerful in feeding gut bacteria. And so for someone who is trying to rebalance, you may have to focus on other vegetables like kale and spinach that are non-high FODMAP so as to allow the intestinal bacteria to rebalance. VR: Okay. And the FODMAP diet, is it more plant-based? Or there’s still some meat? DrMR: The main variables that change are what types of vegetables and fruits that you eat. It’s not to say that you’re avoiding vegetables and fruits. But some vegetables and fruits are high FODMAP. And some vegetables and some are low. 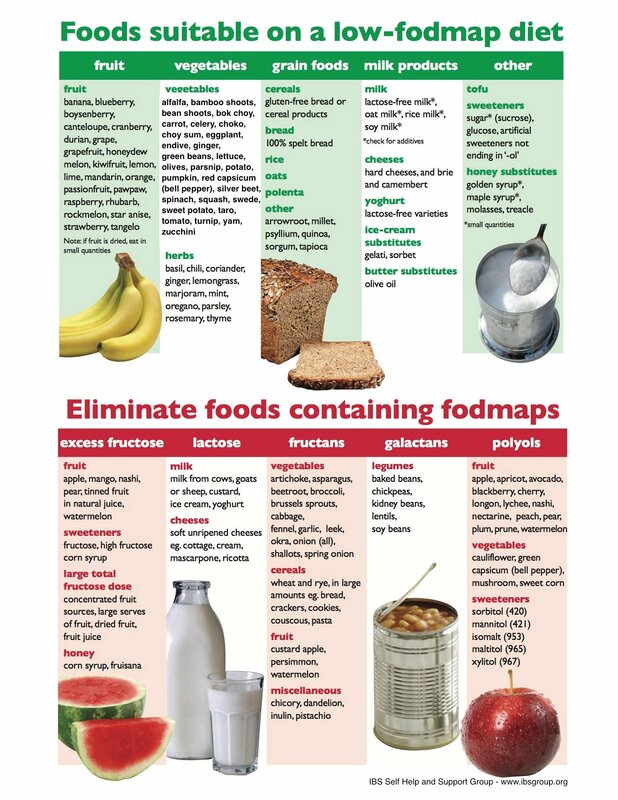 So you just have to identify those and eat from the lower FODMAP food list. 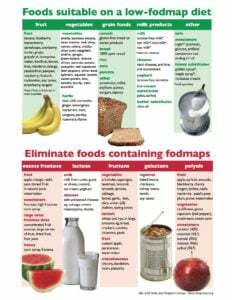 And you don’t have to be 100% strict and absolutely avoid higher FODMAP foods. But you want to be more cautious to generally avoid those. VR: Okay. So what would be the one food to avoid if you’re suffering from an issue with your thyroid, with your gut? What would you suggest? DrMR: The one food that will probably garner the most benefit after avoidance would likely be the avoidance of either gluten, or if someone wanted to be even more aggressive, a trial on being grain free. Second to that would probably be dairy. And then third and fourth to that could be a trial of the paleo diet, and then a trial of the low FODMAP diet. Grains can be problematic. Dairy can be problematic. I’m sure people have heard that. And if the answer is no, then you move on to something else. And this way you can move through the different dietary interventions quickly, and then find what works for you fairly rapidly. And I’m cautious…Yes, there’s a time and a place for someone who needs to peel back the onion and go through these layers of healing. But for most people, I find that’s not the case. If a diet’s working for you, it should be apparent fairly quickly. And if it’s not working for you, just keep moving through the available diets until you find one that works for you. VR: Okay. And what would you say in your opinion is the one food to add to your diet to help treat thyroid symptoms? DrMR: Well, I would do a quick search and look for foods that are high in selenium. And there’s a handful. I apologize. I don’t have these committed to memory. But selenium…And there was just recently a study published in Brazil that did find that when looking at dietary selenium intake, those with the lowest dietary selenium intake had the highest risk of, I believe it was subclinical hypothyroidism. So they were just starting to move in that thyroid direction. So selenium is something important to keep in mind in terms of making sure you’re eating some higher selenium foods on a regular basis. You don’t have to go crazy. You don’t have to eat a high selenium food at every meal every day forever. But take a stock of the highest five or so selenium foods, and make sure you’re eating those foods a few times a week. That’s a good hedge. VR: Okay. And what would be one piece of advice that you would give for people to keep a healthy gut and a healthy thyroid? DrMR: If I may, I would say my book Healthy Gut, Healthy You, it’s the best resource I can offer people. I spent three years pouring everything I knew into that book to give people all the information they needed to have a do-it-yourself protocol where they could fix their gut with all the tools necessary. For some people, it would be only diet. For other people, they’ll need diet plus probiotics. Other people would need diet, probiotics, and special antibacterial herbs. And I don’t mean to be self-promotional here. I apologize. DrMR: But that’s really the best resource I can direct people to. Again, it was three years a labor of love. And everything that’s needed to improve one’s gut health is contained in that resource. VR: Thank you. Thank you so much. And so, Dr. Ruscio, we’re coming to the end of the interview. So it was a pleasure having you today. 1. I am currently on thyroid medication (NatureThroid). Is it possible that once the gut is healed I may be able to get off thyroid medication. I am on 65mg dose. I do not have Hashimoto’s Thyroiditis. I have been on this medication for 10 years. I am a 58 year old female. 2. Also, I have major issues with inflammation throughout my body and have had major sleep issues for a very long time. Recently, I had a Building Biologist assess my home and she found that my sleeping area had an extremely high electrical field, one of the highest she had ever seen! She said that there have been scientific studies that conclude that high electrical fields in the bedroom suppress melatonin. I fixed this issue immediately and now I am sleeping extremely well overall. I also noticed the inflammation in my body is gradually subsiding. I want to know if electromagnetic fields have a negative impact on gut bacteria. Do you know anything about this issue and if not do you know where I can find out? As far as EMFs and gut bacteria, the research in this area is limited. Personally, I wouldn’t be surprised if there was some effect, but unfortunately it is difficult to draw any major conclusions since there have not been many studies measuring the exact effects of modern tech-devices on the environment within the gut.